How much does building a helix cost? I’m at a point where I need to build a helix and trying to decide the direction to take. 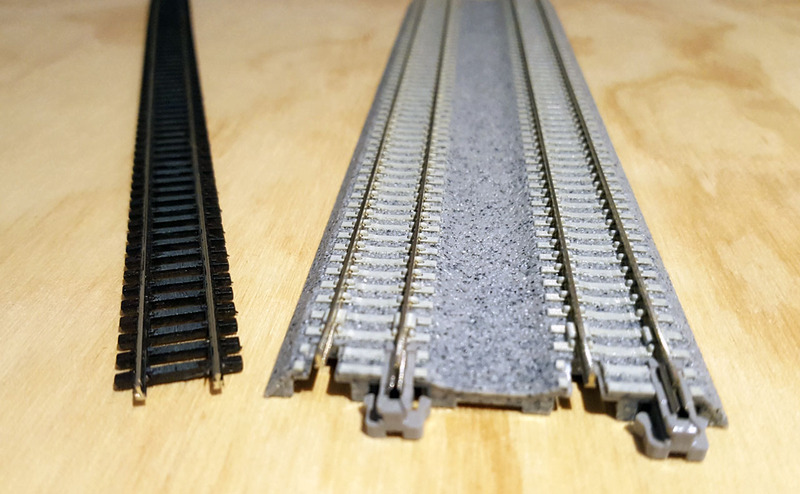 Whether it would be Atlas/PECO flex track + whole shebang; or KATO Unitrack, or even Tomix Fine Track (very pricey). 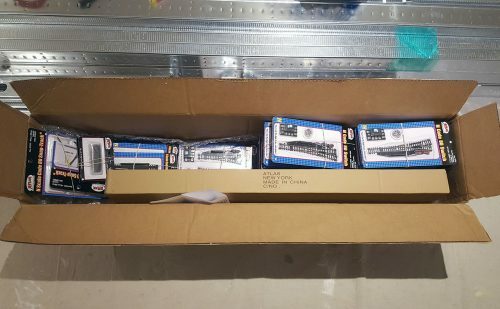 Over at nScale.net forums, I made a post with some rough estimates of costs for my case and I thought to post it here on my build blog for everyone to see. A pleasant surprise, on this snowy day happened in the evening when a mailman showed up with a big box. The package with all the supplies for building the Staging level has finally arrived. It is going to be a busy and hopefully productive Holiday season. Since I’ll be off work for couple of weeks, I can focus on finishing the construction of the Staging level benchwork and lay some track down, if all goes well.